On Friday, members of the 38 Degrees staff team travelled to the Home Office to hand in a petition signed by over 36,000 members to the Home Secretary, Sajid Javid. 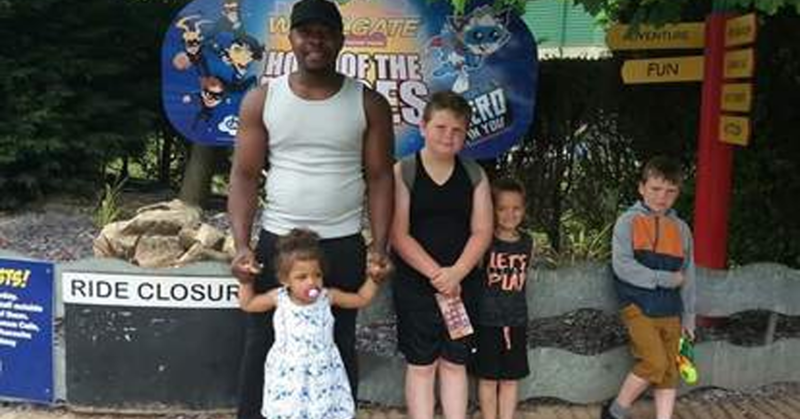 The petition is calling on the Home Secretary to grant young father Endurance Ojo asylum in the UK. He has been waiting for over six years for a response from the Home Office. It’s left him, his wife and his young children unable to continue with their normal lives. 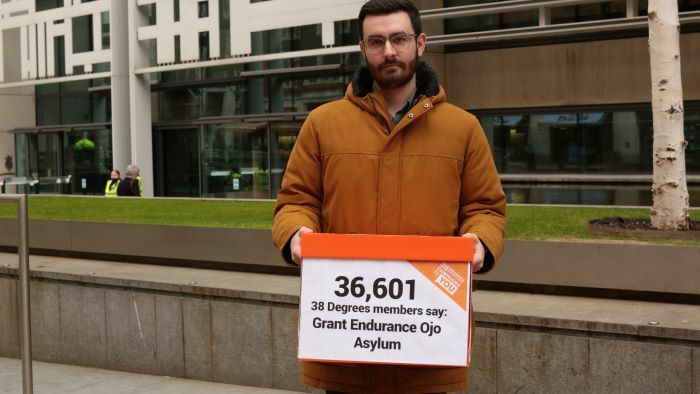 Over 36,000 of us are calling on the Home Secretary to do the right thing and grant Endurance Ojo asylum. If you’ve not yet added your name, there’s still time!